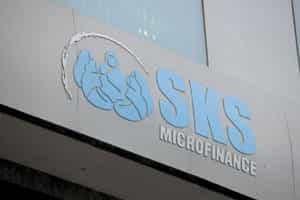 Mumbai/Hyderabad: Shares of SKS Microfinance Ltd, India’s largest and only listed microfinance institution (MFI), surged about 5% on Wednesday after its board approved a proposal to raise Rs900 crore through a sale of shares to private institutional investors to support its business, which has been severely battered by an industry crisis late last year. SKS, in a communication to bourses, said its board has approved the sale through qualified institutional placements (QIP). It is also raising its authorized share capital from Rs95 crore to Rs135 crore. The microlender will also need immediate capital to grow its loan book and maintain capital adequacy. SKS officials refused to comment on why it needs money, citing the “silent period" ahead of the firm’s September quarter earnings announcement. The company’s loan book shrunk from around Rs5,000 crore in September last year to Rs3,450 crore in June. With this, the proportion of loans in Andhra Pradesh (Rs1,293 crore) in the overall portfolio rose to 37.5% from around 26% last year. SKS has a customer base of 6.9 million across 19 states. MFIs are firms that give tiny loans to borrowers at 24-36% after raising money from commercial banks at roughly half that rate. India’s Rs20,000 crore (by loans) microlending industry plunged into a crisis in October 2010 when the country’s fifth largest state Andhra Pradesh, which accounts for at least a quarter of the industry, passed a controversial law to rein in MFIs after a series of suicides were reported on account of coercive recovery practices allegedly used by some of the microlenders to get their money back. The law banned MFIs from doing doorstep business and made it mandatory for them to get government approval to give a second loan to the same borrower. MFIs, which saw their collection rates falling to as low as 5-10% in the southern state, stopped fresh funding to borrowers. Most banks have also stopped giving loans to MFIs, citing the uncertainty in the sector. The situation in Andhra Pradesh remains largely unchanged since. The microfinance crisis had a telling impact on the SKS stock, which lost around 79.62% from the issue price of Rs985 a share in August 2010. On Wednesday, the company’s shares lost some early gains to close 1.41% up at Rs200.70 each on BSE even as the exchange’s benchmark index, the Sensex, ended the day 0.09% down at 17,464.85 points. Headquartered in Hyderabad, SKS is one of the two major microlenders in Andhra Pradesh that opted out of corporate debt restructuring (CDR) when banks offered such firms the option to restructure their debt. The other is Vijay Mahajan-promoted Bhartiya Samruddhi Finance Ltd (BSFL). Chandra Shekhar Ghosh, chairman and managing director of microfinance firm Bandhan Financial Services Pvt. Ltd, said MFIs will have to seek private money as commercial banks are yet to start lending to them. “Post crisis, most of the MFIs in Andhra Pradesh have seen a sharp erosion in their capital. They can’t run their operations if they do not raise capital," Ghosh said. Bandhan had a total loan book of Rs2,716 crore as on 30 September. Still, “it is difficult to do any sort of capital-raising in this market. Whether they will be able to do it depends on a host of factors, including absolute clarity on microfinance regulations", Santosh Singh, analyst with Mumbai-based Espirito Santo Securities, said. That’s not really the case, countered Vineet Rai, founder of Aavishkaar and Intellecap, which have invested around Rs200 crore in MFIs. According to Rai, more clarity on the regulatory scenario has helped to improve investor confidence in the sector. “Indian microfinance still remains a strong market. The market for the poor has not vanished," Rai said. “Bankers and investors will come back to the sector as they believe that the worst is almost behind us. Raising capital from private investors will help SKS to fund their growth." According to the Reserve Bank of India (RBI), Indian banks all but stopped lending to MFIs in the first six months of the current fiscal year despite attempts by the government and the central bank to push credit flow to these sectors. Till 30 September this fiscal, the loan growth to microlenders has declined 16.4% compared with a 7.5% growth in the first half of the last fiscal year. That forced MFIs to look elsewhere. Bandhan raised Rs135 crore from the International Finance Corporation, a unit of the World Bank. Similarly, last month, Bangalore-based Ujjivan Financial Services announced its plans to raise Rs100 crore through private placement by November. In June, the Ramesh Ramanathan-promoted Janalakshmi Financial Services raised Rs65 crore. “The fact that equity investors are showing interest is a reflection of the improving investors’ sentiments in microfinance," Ramanathan said. The firm had a loan book of Rs250 crore as on 30 September. Early this year, RBI issued regulations to govern MFIs operating as non-banking financial companies, based on the recommendations of an expert panel headed by Y.H. Malegam. In July, the government had placed a draft microfinance Bill that sought to put MFIs outside the purview of state-level legislation by stating that those MFIs registered with RBI won’t be treated as moneylenders. The Bill also proposes to make RBI the sole regulator of MFIs.